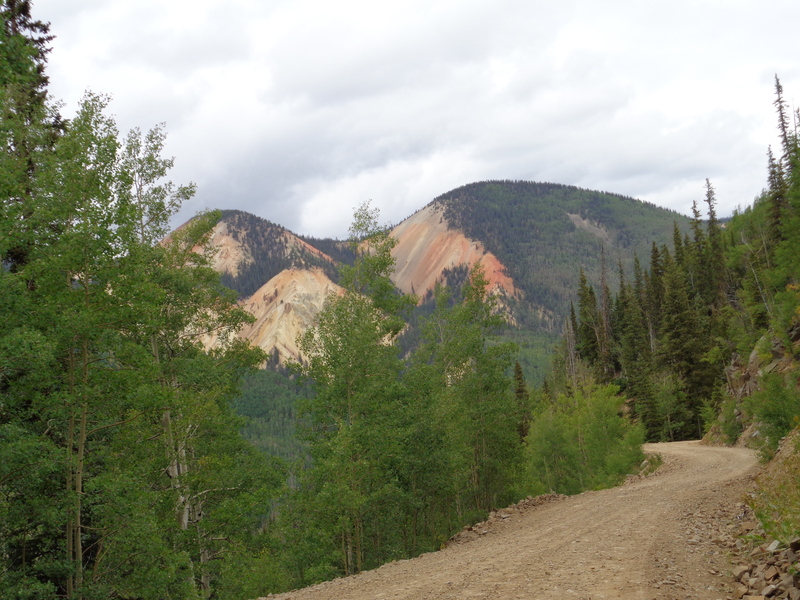 We drove up the National Forest road 250 from Highway 17, heading past Platoro, a seasonal village tucked away in the Rio Grande NF next to a reservoir primed for fishing. 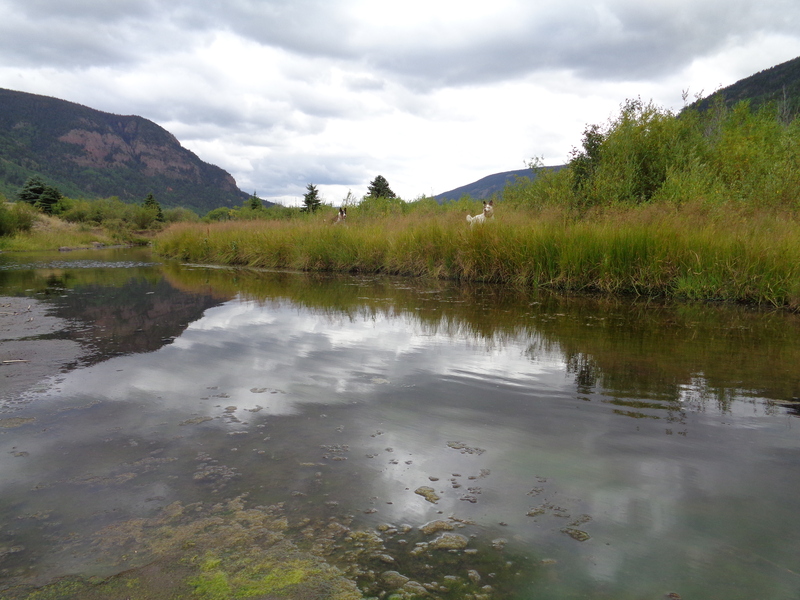 The river lead us through meadows, cattle, and deep into the mountains. We had to stop and explore. 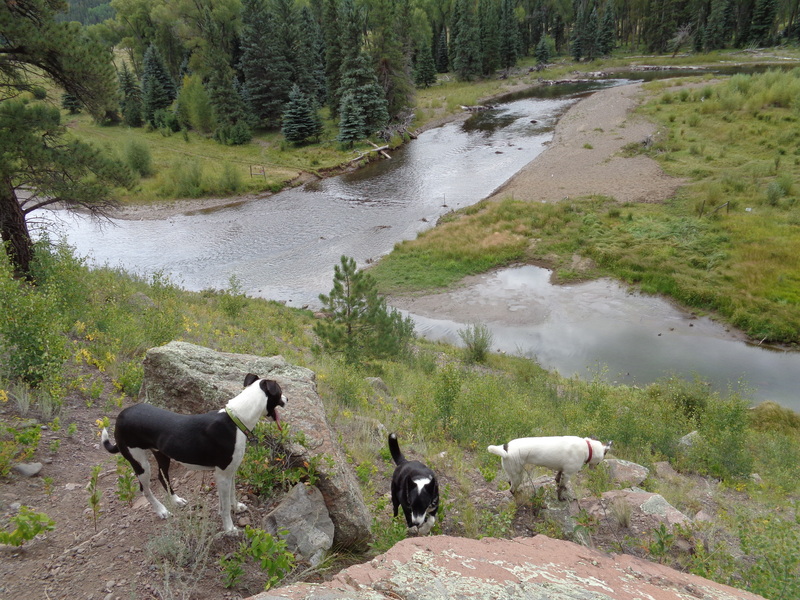 The dogs ran down into the valley as I stretched my legs. Rosie came back knee deep in black mud. She was smiling so it was worth it. I drove further but pulled over for lunch. There was no rush, there never is when it’s just dirt roads, dogs and myself. I washed my face in the creek and sat down with the cheese sandwiches. The dogs paddled, ran, chased, and wore themselves out. Perfect timing. The day was growing darker and clouds built in the mountains ahead. The forest road split and I followed the turn to the left, high above the reservoir, kept my eyes on the graded dirt, and hoped to not meet another vehicle. I did. A huge truck and a fifth wheel came round and pulled over, window down. They had lost their white hound dog, had I seen her? No, but I took their number in case. I drove on and hit a dead end. 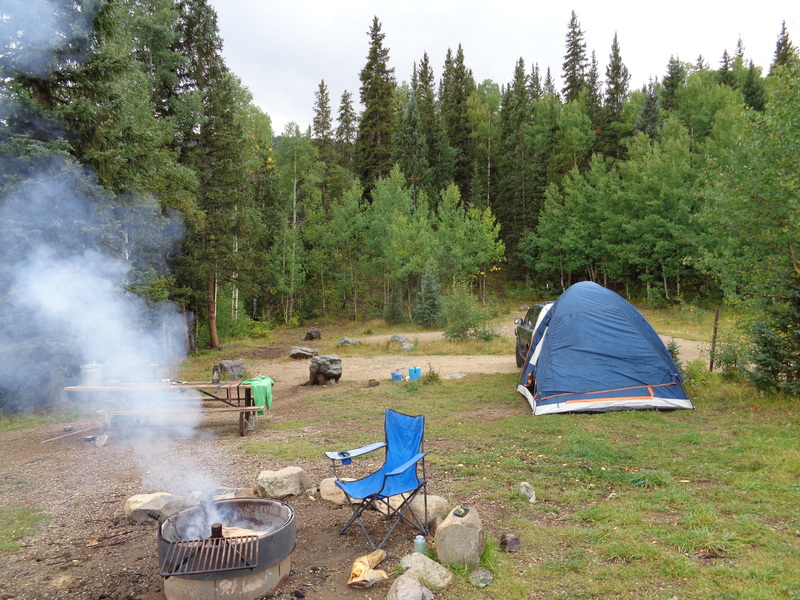 We finally found the turn off for FR 380 that would take us to Stunner Pass Campground, a primitive and free NF campground with only 5 sites. I hoped it’d be open for us even on Labor Day weekend. We were lucky. I picked a site above the river, surrounded by trees behind and with a killer view of the mountain pass to the north of us.